Last week England played Wales in Euro 2016 at 6 AM, and so I excitedly got up early and prepared tea, bacon, eggs, and toast for the morning meal. Oh ya, that day was also my university convocation, and so my parents duly came down from the Okanagan to watch me walk across a stage for about thirty seconds. The ceremony itself wasn’t a big deal to me, but the chance to watch the match with my father and to later go for a picnic on the beach made the whole thing worthwhile. 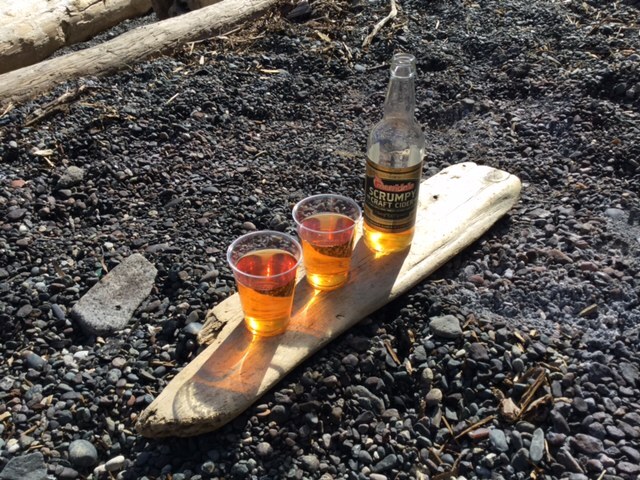 Whilst at the beach, my father and I shared a Merridale Scrumpy.